I will be offline/off grid for a week celebrating Ascended Master week on Mount Shasta. Traditionally, the energies pick up on the mountain during the first week of July; this is tied to the annual influx of light from the Mastery realm as they focus on the United States. 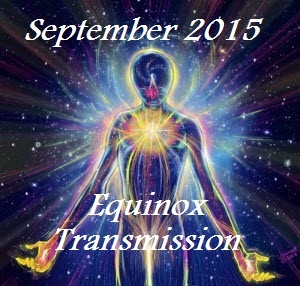 Use these energies wisely as the grids get amplified through Mount Shasta. It is an excellent passage to regroup and realign after the second wave of 2016. The second influx had many stepping out of the cave into much stronger light. Some were blinded or disoriented by the new level after so much cave time. Much is revealed in this new light, especially our ability to purge, release, engage with our Ascension practices, stay in love with everything, love ourselves, and stay in our heart center. Mastery initiates cannot return to cave stage. We cannot isolate ourselves from the call for unity; it gets uncomfortable, difficult, or even painful. Our Higher Levels demand unification in order to Wayshow and move into true unity consciousness. Multidimensionality demands awareness of here, there and everywhere – as well as focus to decipher our personal truth and collective discernment. These photonic energies are about creating order. This frequencies correct realities, timelines and intentions. The light will not step down thanks to millions of lightworkers, our ability to handle the light, and the demands of planetary Ascension itself. Reorganizing the collective consciousness means temporary chaos in the unawakened collective/lower reality. You know this already, remember the illusion of chaos or dis-order is not the focus as intentions magnify. Those of you who understand how consciousness and magnetics function, use your wisdom. Psychological fallout is inevitable for many in-carnates. This is something the Team has discussed at length for decades. 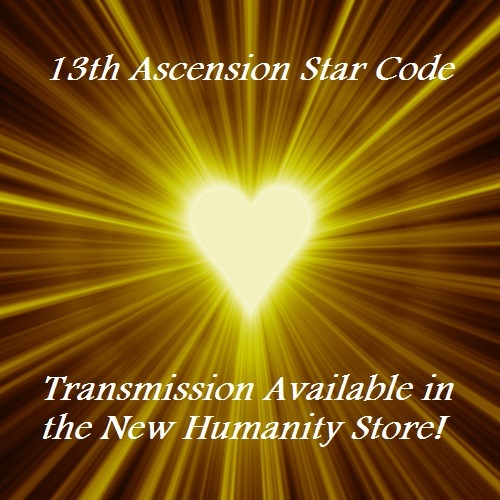 If it is affecting you or a loved one in a negative way, use or share your Ascension tools. Old coping mechanisms will not work in this new light; they just loop to old timelines and make your experience more challenging. Preparation and consistent spiritual practice – staying in your heart, in love with the process – are the path to success. The Soul’s immortal path is to experience evolution in HUman in-carnate form. Some choose Ascension, the challenge of self-realization. If that is your path, you make choices with each moment to align with Source and unconditional Love until it becomes your new permanent state of being. Check in: How did you do with the Second Wave? Notice how strong your heart is becoming in this process. Notice how Divine Love is instantly, effortlessly available at any moment thanks to the strength of the HUMan heart grid. Even when the external becomes difficult, or the energies challenge the body and mind. What has changed for you? What left? What arrived? What have you learned in the last few months? 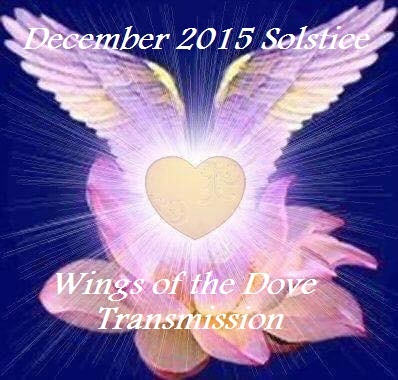 As the energies rose last year, the Pleiadians warned us that we had not seen anything yet. As 2016 unfolds I feel they were correct, and I AM pleasantly surprised by what the new light level has done for us. 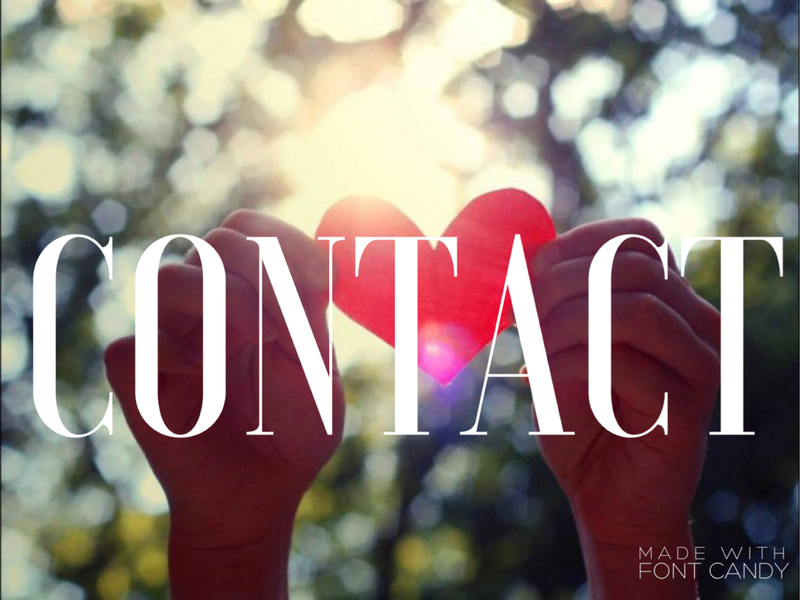 For me, it has initiated a new level of contact, connection with the Heart Grid, and shown me an unwavering peacefulness within my heart. Best advice for the week: Play and create in order to regroup. It is an extraordinary passage as we begin to experience true freedom. Tap in on Wednesdays for the Unity Meditations to experience this healing, activation and collective consciousness amplification. It is remarkable what we are capable of right now, and shows us where we are going. Until then, have a beautiful week! Mount Shasta visitor note: The Mountain road (Everett Memorial Highway) past Bunny Flat will remain CLOSED for about 2 more weeks. It will NOT open on July 1: The Rangers are waiting on snow melt for cleanup and camping-friendly conditions. They are estimating a July 14 opening of the road (that’s the road to Panther Meadow, Ski Bowl, etc.) Kindwhile, camping is dry & available at Bunny Flat & lower. This is the touchstone in time, when we start to put our toe in the aqualine waters, which changes the movement of ripples of energy and the direction we are moving in our personal consciousness body. As we move into that relative balance of an higher expression of frequency, of light and plasma, we have the meeting point of the polarities within that field of energy. When that plasma light meets in that dimension of time, there is the clearing of the obsolete energies, patterns and structures that have existed there. In the past few months, a lot of the attention and energy has been given to a tremendous amount of planetary grid work in the lower fields. These past months have impacted all of us in clearing out fifth dimensional Satanic coding, Metatronic coding, reversal 55 coding, for many different reasons. But in knowing that the Metatronic coding is five based coding that is used in the satanic field architecture, this is used to manipulate black magic en masse, where the dark entities have gathered their power from these ley lines. This is how black magicians conjure up subtle energetic forces and direct it in negative patterns with the intention to instigate chaos or to harm people. As we move into higher frequency fields, we should know by now the plan of attack of the negative hierarchical forces and the imposter spirits. Currently, as certain fields collapse, there’s a lot of smash and grab, thuggery and Mafia like behavior happening with these dark hierarchies. They are desperate to cleave on to the collective pain body and try to wreak havoc in the masses, to ensnare people into emotional dramas, as many of us are moving out from these lower fields. We are undergoing that shift into that next platform in time, and it requires seeing, clearing, a certain level of fifth dimensional distortion, and clearing out various shadow energies and miasma that had been buried in our unconscious mind, pain body or ancestral-genetic lines. As difficult as it can be, this is the time where people that are not progressing forward, or it is not their path to move into this next harmonic universe time continuum, may not be coming with us. This may be manifested in a multitude of ways. In many situations, such as relationships, friendships and associations, they have come to their end. There is no way to travel forward in the same energetic dynamic or power imbalance, things must change to progress or they will end. We may be holding the consciousness anchor for some of those people, as we still love them, but it may have to be at a distance. Many of us have understood, that we are anchors for biological family members, old friends or associations, or even community, at certain levels of our field service work designation. In this first group of ascension prototypers, our Lightbody is an orb body, a spherical body, that once developed to hold plasma, can hold human souls within it to function as a transit gate. This is a function we have while incarnated on the earth, and that function will most likely continue on the interdimensional planes, once it is time to leave. Some of us have noted for many years now our lower energy centers were shifting. Through the reconfiguration of these lower energy centers, known as the 1st Chakra, 2nd Chakra and 3rd Chakra or 1D-2D-3D Chakras, we could feel their color wave spectrum changing frequency. Some perceive this as embodying higher dimensional chakras with different frequency colors. This usually begins with Aurora coloring, perceiving the re-encryption process in the lower body which is making repairs to the etheric double and lower energy center functioning. The root or perineum area for many Starseed people is no longer red, but changes to lighter hues of violet, pink and once rolled up to the higher energy centers, it becomes shades of blue-green or light pastels. When we have embodied this frequency change, we do not have survival fears any more. We can clearly see when the False King of Tyranny, from the red wave spectrum, is manipulating victim archetypes in the public to incite fear. This frequency elevation process has been happening for some time, however, it is now happening progressively to more people. The lower Chakras used to be etheric cones that were non-physical membranes, located in the top layer of our Lightbody. The main energy centers are still present, yet are being elevated to run vital forces throughout our lower body glands, organs and meridians. The chakra cones will eventually become absorbed into the higher consciousness aspects of the body and reconfigured completely. The best way to understand this is that Chakras are an aspect of Consciousness that run a type of software, that is directed from a template held inside a primary planetary body in the Solar System. The lower chakras of humans have been severely abused through negative Mind Control being directed to harm these chakras and their respective glands from functioning correctly. The Chakra program was running overlays onto the endocrine glands, instead of the endocrine glands being free to function as they were designed. The lower aspects of consciousness related to these Chakra programs are frequencies of survival, fear, instinctual drives, disconnection, sexual and gender confusion, selfishness (STS) and material power. Much of these low frequency programs are amplified from influences sourcing from the planet’s Saturn, Neptune. Pluto and Mars. When these lower aspects of consciousness programming are not present anymore, within our thoughts or state of being, they cease to exist. When we focus our being on spiritual service and the Love of God, eventually these lower aspects of consciousness are dissolved into higher frequency. 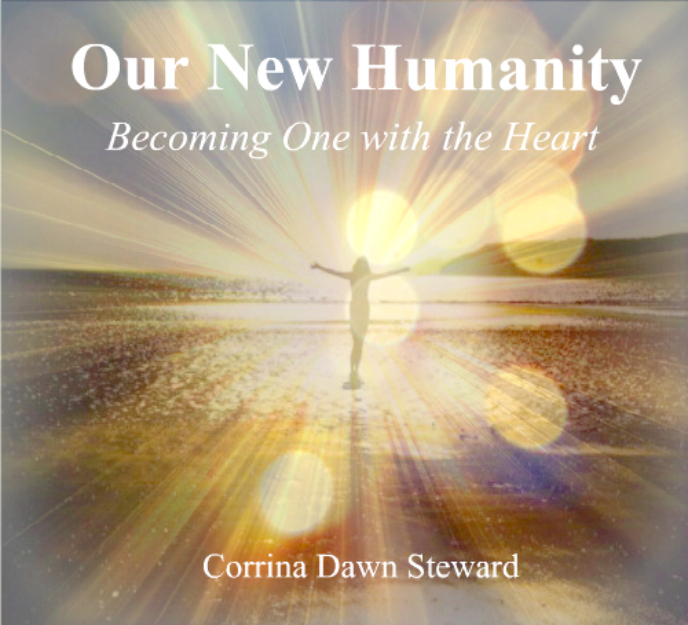 Our Lightbody reconfigures itself to reflect the new higher frequencies that we have focused our attention upon, and the new consciousness system is built in the body to house the higher consciousness. A shift in consciousness creates a shift in the configuration of the energy field, and this always happens before there is visible change made in the physical body. All manifestation is from the state of consciousness directing itself through the energy field (Lightbody), and then into the physical body. Each Chakra wheel is rMonadesponsible for interacting with the physical body through the stimulation of the respective endocrine gland and nerve plexus that runs its messaging. Each Chakra generally has had governance over the area of the body where it’s located and runs archetypal programs or patterns of expression. As the false identity programming eventually dissolves, through expanding consciousness, the responsibility of the new functioning is given directly to the endocrine gland, and the body grows new nerve plexus in order to handle the circulation of connections into the bodily systems. This stimulates a reconnection of internal systems to communicate with the body parts, so the body parts can communicate with the Expanding Consciousness. The endocrine gland becomes awakened with new purpose and new frequency, and with potentially new functions. There’s a lot of obsolescence happening now with the movement of configurations impacting the lower field energies (1D, 2D and 3D). For that reason, we need to focus on primarily that seat of the Monad (hara complex), seat of the soul, clearing reversal polarities, and obsolete lower energies. We are being raised into the next higher frequency or harmonic attunement that is appropriate for the seat of the monad to be fully embodied (Hara Center). We may need to ask higher guidance to determine the physical body stability and to upgrade all physical matrix reconnections that support this core body, monadic embodiment. Some of us may be experiencing a shift in the lower energies of our body, primarily the dissolution of Earth particle frequency color wave spectrums that we have previously known make up the construction of the lower body (1D-2D-3D chakras). All levels of the chakras are undergoing changes and upgrades. It is like a mixing of higher color waves from the higher spectrums directed into our lower chakra region, primarily the first and second layers. This is in direct alignment to the macrocosm dissolution and shifting of horizontal grids impacting the first and second dimensional frequencies and how those frequencies run in what we know as the particle spectrum. As that gets shifted at a macrocosm level of the planet, the platform of what our body has been using as a part of our structural matrix, that platform of our spirit body, undergoes a shifting and the color ray structure of that platform is undergoing multiple changes now. The Chakra template is transmitted in its architecture from the planetary bodies that are in our solar system. Each chakra cone in the outer layers, the outer layers of the chakra cone that are projecting a template of consciousness. Think of it as an energy software, like a kind of software program that is influencing a level of expression. Again, all of that would be fine without the mind control overlay, but we understand that AI mind control overlay has been put in the template structure of the chakras to control the expression. What has happened in our bodies is that the overlay being used in Mind Control to bend, shape, influence or send harmful frequencies to the human being with the intention of enslavement, suppression or manipulation have been aimed through the planetary body ( In the solar system) that is in governance of that particular principal. The planet Saturn, as a part of its governance over the Root Chakra created in our planet and in most of the human beings inhabiting this planet, because of the level of Mind Control being sent from Saturn and the negative alien agenda is using Saturn as an outpost for Orion to send out these mind control mechanisms, psychotronic warfare, etheric weaponry, everything that has to do with the Victim-Victimizer archetypes. A lot of our study of victim victimizer programming is intrinsic in the clarity that we are receiving in this period of time to be free from the software of Saturn using and directing victim victimizer software mind control. This is a subset of the Armageddon Software. When you understand that false timeline program promoting false identities, promoting the False King of Tyranny, so that they can create a master slave race. That’s what their agenda has always been. By creating a master and a slave, you create cycles of victimization. By doing that you increase the cycle of victim victimizer in the person who is believing they are subservient to the tyrant God, in this case a tyrant alien, who is masquerading as a God in order to create this impact of the master slave control of the terrain. This is especially true in the global religious mind control or spiritual mind control. The chakra is being replaced with an energy center, and this creates a governance shift in the authority of running energy. The chakra is no longer the authority of running energy, the membrane is dissolving and it’s becoming assimilated into the particle structure of whatever the body’s frequency is. Meaning our cells are starting to absorb this substance from the etheric layer. This is a part of the heavy detox of metallic energies we are going through. The body is shifting in configuration, it is absorbing this membrane and it’s coming into the physical realm. This was something that was nonphysical, it was existing in the etheric layers of the body. Now this is becoming enmeshed with the physical, what we think of as physical, it’s absorbing into the body. The energy center that’s left is being governed by the gland itself and not the chakra. The organ system and the glands system that is involved in the function of circulating energy, and what was being fed by the chakra, it’s now reversing the pattern. Before the chakra was in control of that function and now the organ is actually becoming in control of running energy in that system. The chakra membrane, this cone, whatever was there as a conical structure has started to be absorbed into the body itself and all that’s left is just pure energy. That energy is intelligent and it’s being circulated by the intelligence of the cells in the body that are organized as an organ system. It is like saying our glands were asleep, they were being stimulated, but they were the not awake. The best way to imagine this is that our organs are awakening, our cells are awakening and they have intelligence. They have a function that we didn’t recognize that they had in higher dimensional states, and we are starting to experience what that is in our body. This is very optimistic and very good news for us moving forward in understanding that this is an opportunity of potential freedom for those that are moving towards the ascending timelines in the bifurcation to be freed of the victimization, victim victimizer software that is a part of the template of the root chakra and how they have been controlling that on planet Earth itself in the lower particle fields. The extremely low frequency, ELF electromagnetics, very low frequencies, are contained in the red and orange wave spectrums. It’s a very longwave. It’s a very dense wave. This is ceasing to be exposed or exist for those of us that are moving through the bifurcation into the higher subatomic field. Our lower bits, these lower energy centers, are dissolving and we cease to have lower chakras in the same way that many of the human beings on planet Earth have, that are on the third dimensional timelines and are still being controlled by the victim victimizer software mind control. They’re still going to have that energy center looking traditionally as we have represented it in terms of a chakra system. We have known this before, that the more you develop your consciousness, the membranes in between the chakras actually start to dissolve and the chakra column exists as one energetic column energy center. Powerful Being, you are Love in human form, Life in changing form. Your unique perspective, your focus, and your choice create a perfect path of evolution. Your Life’s pace is unique to you, for Time responds to you. Your Life’s path is perfect for you, for it is a convergence of your inner and outer worlds meeting in Time and form. You are cherished by Life. Your perfection is embraced by Time and enhanced by form. You are magnificent. Your electromagnetic emanation is a vibrational library of information that Life understands completely. From your human perspective of linearity, you are learning to understand the vastness of the self and your interaction with the invisible to form the visible future. This is your process of Ascension, an exciting point in your ongoing evolution as humanity becomes more consciously interactive with the subtle realms. The vastness of you is written into each moment. Your past, your future, the infinite nature of Life is in your now moment. What resides within you is All potential. Your choice is its vehicle into form. What will you choose? All creation begins in the subtle realm, the invisible, the unformed, the potential. Your bridge to this subtle realm is your thoughts and emotions, your subtle nature. As you imagine and feel into your creative desires, you are creating a momentum that is invisible in the moment. This momentum, this moment, is the bridge to new form. The Will of Love, the passive force—spirals outward infinitely, without the bonds of space and time, for it is formless. Your power resides within your now moment. Your unique perspective, your focus, and your choice are Creating your Moment. This creates a momentum that calls forth change. Your patience (peace in action) with form forming creates a fluid and responsive state—easier change as you read the clues of life aligning you with Love. In your current moment the tides of form are changing. It is your focus on your inner realm, your subtle bridge—that creates your vibration which emanates out. This moment you have created causes change. Focus your unique perspective and choose. Life unconditionally awaits your active choice with the passive force of Love. As we sit to Blast Creating a Moment, we are amplifying our imagination with the unification of Love. We are making a choice in a moment to focus our intent outward into our world with a momentum of Love that changes Life on Earth. We are becoming the dominant force in our lives, allowing our Freedom to flow into our choice as Life calls us to the courage to live it. We are creating a tide of change in this moment, for each one is an opportunity to discover the power of Love flowing within. Blast on! You know when it’s overcast, cloudy, high humidity, foggy, raining or snowing how the sunlight doesn’t get through all that interference and reach Earth and us fully and directly? The same is true when the Sun is very active and spewing flares, CME’s, solar storms, solar winds etc. Those externalized solar energies reach Earth, humans and all life here but they’re usually reduced due to the strong and wild movements of those very energies. We’re effected by them alright, but they’re often diminished by the great forces and pressures taking place from them being so violently projected outwards into space. On the other hand, when the Sun goes quiet and isn’t hurling CME’s, flares, solar storms, solar winds everywhere, that quiet calm allows all the GC (Milky Way Galactic Center) energies to flow unimpeded or disrupted in any way right to, into and through you and your body/bodies and everything and everyone else including Earth. When the Sun is quiet the GC energies (plus any other cosmic energies) enter the area of our solar system in full-force because there’s no energetic wake turbulence or interference whatsoever from solar winds, storms or CME’s etc.When the Sun goes quiet like it has for much of 2016 for this very reason, the GC energies reach us directly, fully and totally unimpeded. Yowza! Energetic “weekend warrior” only business is over. It’s now full-time and full-on and coming directly from the GC to all incarnate human Crown Chakras on Earth! Can ya feel the Divine evolutionary LOVE? I’ve learned over these Ascension decades that when I suddenly become emotional over the slightest, kindest, highest vibrating of things, that means the Earth’s magnetic energies are in flux once again. As we’ve learned over the years, the magnetic grid and field helps hold the current Evolutionary Cycle’s energetic codes, blueprints, templates in place for humanity, Earth and all lifeforms on Earth throughout that cycle. Said another way, it holds the current curriculum in place for all during an Evolutionary Cycle. However, when the old lower frequency Evolutionary Cycle with its matching codes, blueprints or energy curriculum Expires and starts disappearing, the magnetic energies around Earth become “unstable” while they reduce, dispel and go to zero. What all this really is are the old codes, blueprints and energies they contained for the past cycle dying away. Simultaneously to all that is the building of and then activation of the NEW Evolutionary Cycle’s magnetic Grid system at a much higher level of frequency and complexity. Out with the old lower and in with the NEW higher and more complex in other words. This we’ve done and lived since day-one of this Ascension Process so nothing new here. 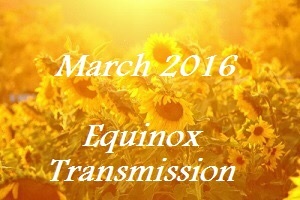 But, since the Sun’s gone quiet this year which allows the GC to pour out the NEW Evolutionary Cycle’s energies—codes, blueprints, templates etc.—very directly and with full-force right into each of us on Earth and into Earth too, these magnetic changes in the NEW Grid system are now being felt by more and more much more intensely than ever before. Not just the Forerunners mind you, but everyone at this point. Needless to say, this and all the rest of these evolutionary Ascension Process happenings cause many people to increasingly lose it and become extremely unstable for a while, or permanently. Every time I get hit hard with either of these current Ascension related energies, I think about how difficult it is for me, my body, my central nervous system, digestive track, my mind heart and so on, and for the most part, I know what’s going on and why! As the old energies and codes of the past Evolutionary Cycle and their matching magnetic Grid and field around Earth reduce to zero and fall away, they’re replaced with NEW higher energies and codes that can sometimes cause some Forerunners to feel depressed, sad, very emotional at times, very much done with it all, extra weak, extra exhausted, extra achy, bigger and heavier, less than before, greater than before and so on. Much of all this has to do with us being in transition from all the old lower energies and embodying more of the NEW higher energies. 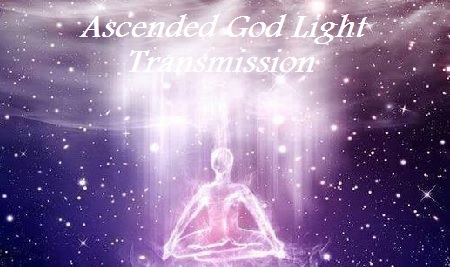 The Ascension related magnetic changes cause some to feel more emotional, weepy, depressed etc. In many people still carrying the old lower consciousness, beliefs, reality and expectations etc., this puts a great deal of energetic pressure and stress on and in them to evolve, not that they realize that’s what any of this is about! And so, we have more and more of the “normal” masses utterly losing it now and/or going into more fear over more change taking place internally and externally. This will get worse before it gets better Forerunners so stay in your HighHeart and keep doing what you have been for all. I’ve just completely forgotten what this article was about… Oh yeah, that reminded me about the need to sleep, to get out-of-body during the daytime hours. I think in many cases we’re doing much like what the Sun is by going “quiet”; we’re all needing to be still, quiet, peaceful internally and let the GC energy outpourings do what they are to each of us. That may have sounded like I was joking but I’m not. The Forerunners and Sun have gone quiet for veryimportant evolutionary and embodiment reasons now so just let the changes take place in you, your body, your being, your soul, your Greater Selves and external reality. The one happens so the other can. At this point, none of this looks like what any of us Forerunners expected and isn’t that a hoot! Just lay back and go to sleep when you have to no matter what time of day or night it is and release, open and embody more and be glad, so very glad of it all. How Does the NEW Energies From the GC Fit Into Our Crown Chakras? Sometimes it feels like giving birth and being born at the same time but in a totally NEW way. When the GC energies come in strong and direct like they have all year, my ears start ringing again (Vegas nerve reverberating from contact with and embodiment of higher Light Energies), and I can clairvoyantly See feel a large half-dome shaped energetic area above my physical head (Crown chakra) receiving these tremendous evolutionary energies directly from the GC. They hit this area above my physical head/skull first which cases a reverberation down into my head and skull and then further down into my spine and entire skeletal structure and my HighHeart area. I literally shake, rattle and vibrate incredibly strong internally from receiving and then embodying the NEW energies and codes etc. into me and my physical and energetic bodies. My Lightbody spins faster and faster and seemingly from within me, to the point that I wonder when it’s all going to go totally NEW and different. Maybe I’m looking at this with old lower eyes, time will tell. For now however it’s one wild ride to be sure. Hang in there Forerunners and don’t feel guilty for exiting your physical body during the daytime. There’s a lot going on in us now which only further allows greater and faster evolutionary changes externally. NASHVILLE – It is now official. Pope Francis has acknowledged that Mary Magdalene, the woman “who loved Christ and was loved by Christ” and who was the first to witness his Resurrection, is on the same level as the other male apostles. Recognizing St. Mary Magdalene’s role as the first to witness Christ’s resurrection and as a “true and authentic evangelizer,” Pope Francis raised the July 22 memorial of St. Mary Magdalene to a feast on the church’s liturgical calendar, the Vatican announced on June 10, 2016. This is absolutely wonderful (old) news. Her ascension is complete. What is new and exciting about it for me is the esoteric language in the Vatican’s decree formalizing the decision and where decoding it leads us. The decree was published by the Congregation for Divine Worship June 10 along with an article explaining its significance. Both the decree and the article were titled “Apostolorum Apostola” (“Apostle of the Apostles”) and represent an update on the Vatican’s position on the Magdalene. 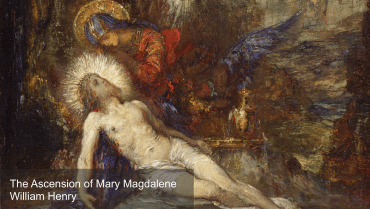 Magdalene is presented as a ‘new paradigm’ for women and her elevation will reflect the mystery of Divine Mercy? The mystery of Divine Mercy? What is that? Pulling on the golden thread of the Vatican’s vernacular here will lead us down a wormhole of immense beauty and a fuller understanding of why Mary Magdalene was the ‘Apostle of the Apostles’. 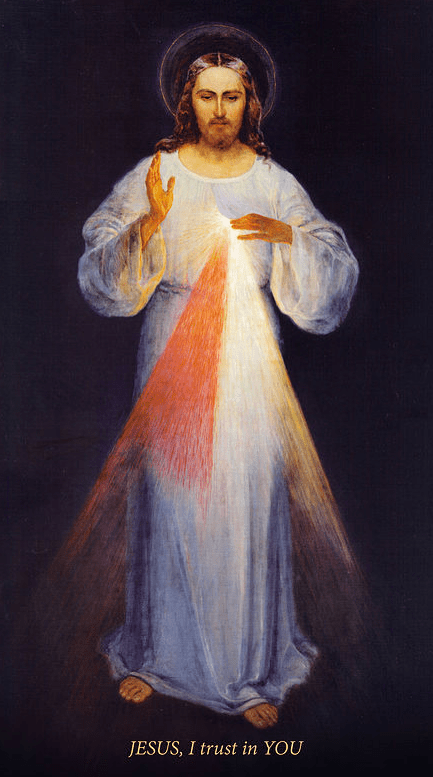 The Mystery of Divine Mercy refers to the love God has for all of us and an appearance by the resurrected Jesus to a polish nun, St. Faustina Kowalska (1905-1938). Our goal is to let God’s love flow through our heart, like a river, to all those who need it. St. Faustina’s encounter with the resurrected Jesus showed us a new way to succeed in our goal. Faustina stated that whilst she was in her cell on the night of Sunday, 22 February 1931, Jesus appeared to her as the “King of Divine Mercy”, robed in a white garment. As my readers know, the white garment or “cloak of the illumined ones” is the symbol for the robe of the soul, the light body or resurrection body of Christ. Faustina wrote that Jesus’ right hand was raised in a sign of blessing and the other was touching the garment near his breast, and that from beneath the garment slightly down, aside his breast, emanated two large rays, one red, the other white. According to the diary of St Faustina, the image is based on her 1931 vision of Jesus. Wow! Those are powerful words. Venerate means to adore or love. While it is believed that Jesus physically appeared to St. Faustina (rather than psychically as an interior vision) he spoke to her of the power of images to transmit Divine Love. 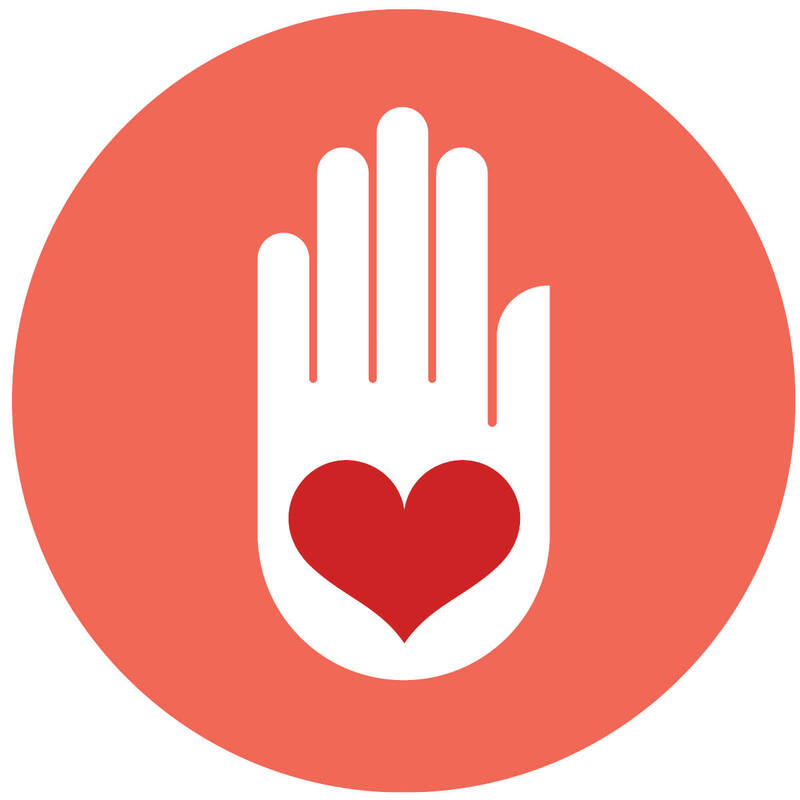 Our goal, Jesus is saying, is to let God’s love flow through our heart to all those who need it. One, if not the, way of connecting with the Divine Love is through sacred art. Catholic devotions thus stress the importance of the image as a “conduit for grace” as part of the Divine Mercy message. Over 100 million Catholics have ‘venerated’ this image and have been altered by its power. 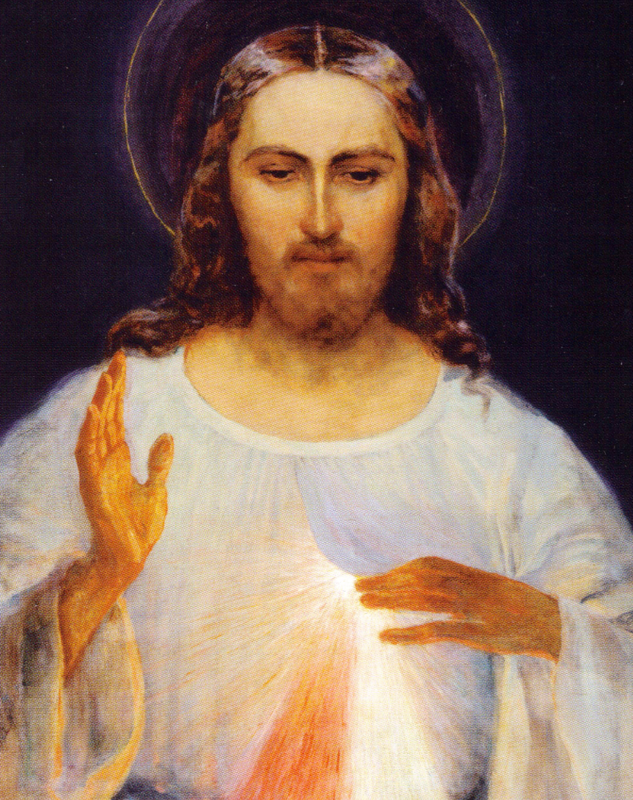 Jesus is saying we can connect with him through this divine image of him, specifically this painting. It is a vessel that will transport us into divine space where we meet him. In other words, Jesus is saying this painting is a portal to salvation or eternal life. I could hardly contain my excitement when I read these lines and connected the dots with the work Clare and I have been doing on sacred art. I bolted out of my desk chair and flew down the stairs of our home to tell her all about it. For the past five years we have been sharing knowledge of the sacred power images, especially icons of Christ, and avatars and gurus, and how they were created to transmit Divine Love. More, we have shown, certain examples of sacred art are intended or designed to be sacred mirrors, portals to the afterlife and conduits for our ascension. A major part of our spiritual practice is collection, veneration and sharing of sacred images. It is the core of our Work. It is what we love to do. It is the basis for our spiritual adventure tours. We believe that in showing this art to you we are bringing the light of the Divine to you. Taking you to it is our mission and goal. Sacred art, we believe, is the other half of the written scriptures of the all the world’s traditions. It is a conduit to divine realms and beings. They are sacred mirrors. Contemplation, reflection and meditation on sacred art programs our DNA. It is the Stone of Transmutation sought by all the world’s mystics. This is the premise of our Gaia TV show, ARCANUM. I also discussed the basic points of our findings in my article, “The Awakened Soul: The Lost Art and Science of Ascension and the Ultimate Yoga Experience”. Now, knock us over with a feather, here is an account of Jesus, himself, saying adore him and BE LOVED via an image! Or, find a quiet corner and listen what Jesus via St. Faustina has to say on this day we celebrate Mary Magdalene’s Ascension. Clare and I are still shaking our heads in utter adoration. 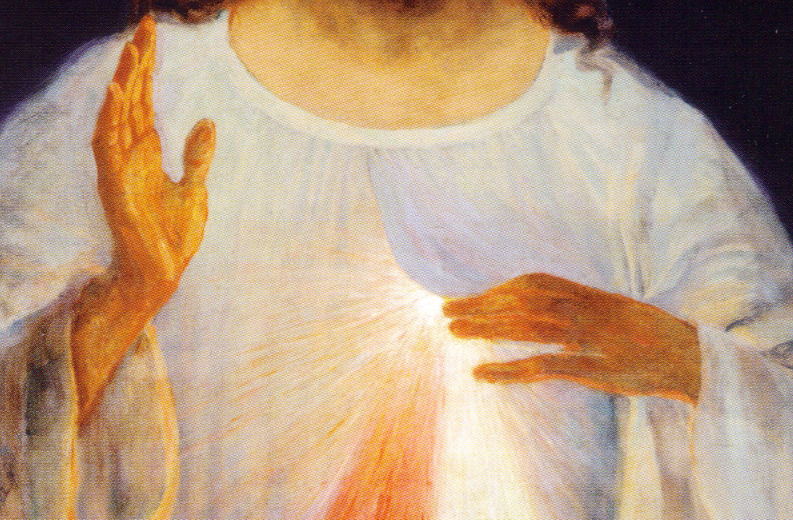 Jesus is shown in most versions of the Divine Mercy image as raising his right hand in blessing, and pointing with his left hand on his chest from which flow forth two rays: one red and one white (translucent). The whole image is symbolic of charity, forgiveness and love of God, referred to as the “Fountain of Mercy”. This means the painting is energetically active, like a fountain spewing Divine Love. Jesus has poured his Spirit into the canvas so that it may be sprayed into the space in which the painting is displayed. Your cell phone, tablet or computer is transformed into a sacred space via the presence of the image. Jesus is talking about alchemy here as red and white are also the color of the elixirs of alchemy and transmutation. Mixing their rays represents the “(al)chemical wedding” that produces the Philosopher’s Stone or the Body of Light. At the heart of this mystery is Jesus’s resurrection and transformation into a radiant light being. My hope is that this “new reflection” on Magdalene will focus on her esoteric side and her role in the Resurrection. Mary Magdalene was the beloved of Jesus, probably his wife. She was his supreme initiate. This is why she was the first to the tomb in which his crucified body laid on a stone awaiting Resurrection. Having spent the past 30 years studying the Resurrection of Jesus, I can say there is no more important participant than Mary Magdalene. In my book, The Illuminator, I explored the research uplifting Mary Magdalene as an alchemist for which the popular thirteenth century French chronicler Jacobus says she earned the distinction Illuminata andIlluminatrix – the Illumined and Illuminator. Webster’s says illuminati literally meant ‘enlightened ones’ in Latin. It comes from illuminare, to light up. As the ‘illuminata’, the enlightened, Jacobus upholds, the Magdalene was illumined with the light of perfect knowledge in her mind and illumined with the light of glory in her body. In this case, says Jacobus, glory describes the splendor and bliss of heaven. Glorify also means apotheo-size, to raise-up, to make one a God. Glority also literally means to illuminate = to give light = glow ray(s). All the occult mysteries of Arcanum speak of a key that is required to unlock mystical secrets of enlightenment and the body of light. The lost secret of the Arcanum is about building the light body through the release of secretions or oils from the astounding manufacturing plant of spiritual oils, the human brain. 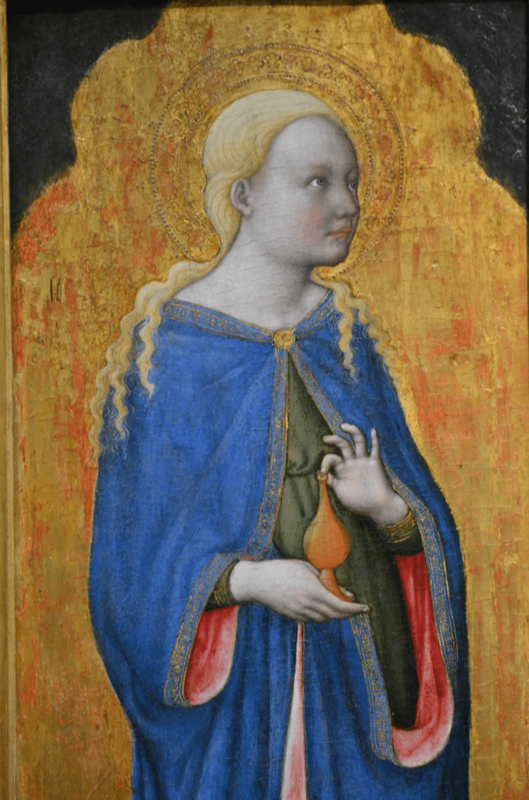 This oil or essence was the key secret of Mary Magdalene and is the key to Arcanum. A favorite painting of Magdalene by Francesco de’ Franceschi. Ashmolean Musuem. Oxford. Jewish Gnostics, who recorded their beliefs in the Gospel of Philip, say the Magdalene’s sacred oil is called Chrism that produces the Resurrection. And it says; “The Chrism is superior to baptism, for it is from the word “Chrism” that we have been called “Christians,” certainly not from the word “baptism.” And it is because of the “Chrism” that the “Christ” has his name. 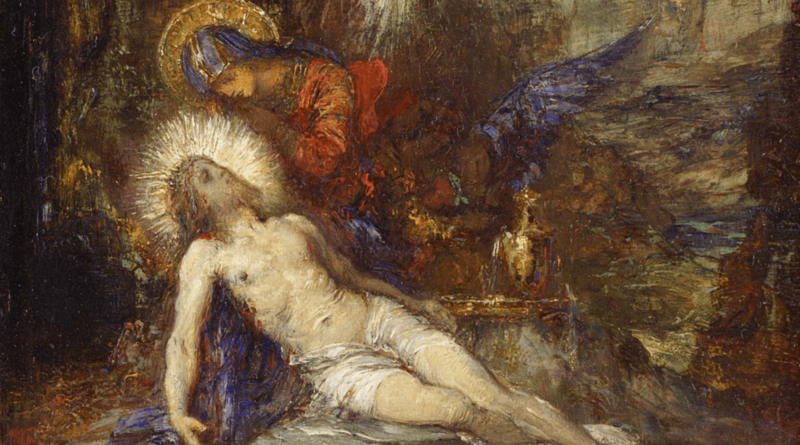 In Gustave Moreau’s painting we see Mary Magdalene cradling Jesus, perhaps in the moment after she has anointed his body with the sacred oil seen on the table beside them. This oil opened one’s spiritual eyes, but it may have done more. In ARCANUM, Clare and I made the first ever proposal that Mary Magdalene knew the secret of attaining what the Tibetans call the Rainbow Light Body or what Christianity calls the Resurrection body. In this practice the body is dissolved into light. The Tibetans do not mention an oil as instrumental in its attainment. Our sense is that this was an innovation introduced — or perfected by — Mary Magdalene. Mary Magdalene wears a cloak of many colors and holds her alabaster jar. Does it contain the oil that transmutes the human body into light? I believe so. I note this not out of ego, but to let the interested reader know the source of this information and to invite you on a spectacular journey. We have much more evidence to back up our claim than we are presently allowed to put in print, but will be sharing at our upcoming events and tours. It is our hope that other researchers, presenters and authors on the subject of light body transformation and ascension will walk with us and further explore the astounding way ahead as we further uncover Mary Magdalene’s knowledge of the Light Body. The Gospel of Mary says Mary Magdalene was given a special transmission of knowledge (gnosis). 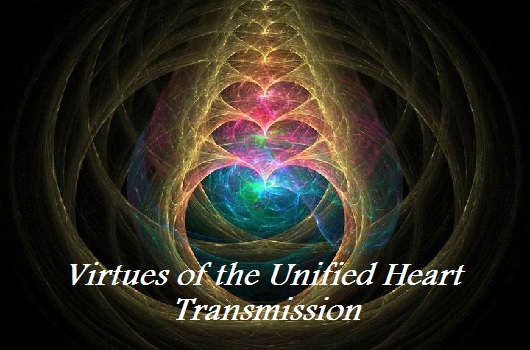 This transmission came after Jesus’ resurrection and concerned the nature of matter, of salvation, and of the soul’s journey through the darkness of the astral planes to reach the realm, kingdom or empire of light (which may well be the center of our galaxy). From St. Faustinas’s experience I have no doubt part of Jesus’s instructions concerned the power of sacred art. 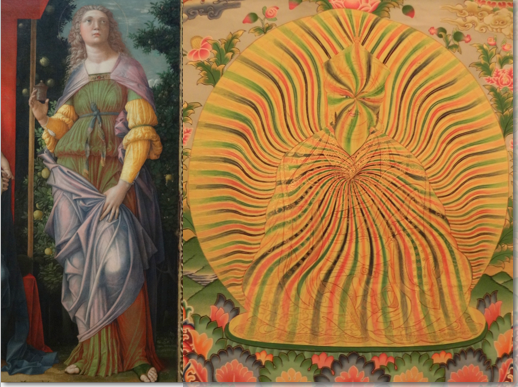 Now, the question is, how can the sacred art trigger the production of the oil within us? Copyright © 2007-2016 William Henry. All rights reserved.